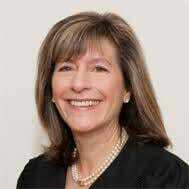 Obama appointed liberal activist Judge, Amy Berman Jackson, is currently overseeing the most important court case in US history. On January 3rdwe reported that Paul Manafort’s filing of a suit against the “Deep State” DOJ (Jeff Sessions), Assistant AG Rod Rosenstein and Corrupt Investigator Robert Mueller would shut down Mueller’s corrupt investigation! Now we know that the Obama appointed DC judge replaced another judge and is overseeing the case. In early January former Trump campaign manager Paul Manafort sued the DOJ, Robert Mueller and Rod Rosenstein and demanded the Mueller investigation be shut down! We have reported for months on the many criminal and corrupt actions taken by numerous parties related to the Mueller investigation. Mueller never should have taken on the job in the first place due to numerous conflicts. He is best friends with fired leaker and former FBI Director James Comey. He met with Comey shortly before Comey testified with Congress and for this alone he should have recused himself. The team Mueller built to attack President Trump and have him removed is all Deep State attorneys and crooks. Mueller’s record in the past is scattered with actions that let the Clintons off scot-free on numerous occasions when they should have been put in jail. … George Papadopoulos pled guilty to a single charge of making a false statement to the FBI. He was not charged with so-called “collusion” because no such crime exists in American statutory law, except in anti-trust matters. It has no application to elections and political campaigns. To put it plainly, Mueller is tasked with finding a crime that does not exist in the law. It is a legal impossibility. He is being asked to do something that is manifestly unattainable. Manafort sued the DOJ, Mueller and Rosenstein because what they are doing is not supported by US Law. Manafort’s case is solid. The entire Mueller investigation should be thrown out. However, we now know that an Obama appointed US District Judge from the US District Court for the District of Columbia, has been assigned to the case! Judge Amy Berman Jackson has horrible far left record on the bench and will no doubt do all she can to keep the corrupt Mueller investigation in place. In 2013 Judge Jackson rejected arguments from the Catholic Church that Obamacare’s requirements that employers provide cost free coverage to contraceptive services is contrary to their religious beliefs and violated their religious and free speech freedoms. For some reason the Manafort case was reassigned to Judge Jackson on January 19th, a few weeks after being filed. With her atrocious record to date, Deep State certainly wants Judge Jackson overseeing this case.